The sheer abundance of everything at LuWih – 2 pools! 14 staff! Unfettered sea views! Big bathtubs! – made this a delightful villa to stay in all round. Though our stay was to brief to organise an event, we would have loved to host a party here; the spectacular setting, well-designed layout and professional staffing lend themselves perfectly to it. While the beach appears to be within easy reach (about 300m as the crow flies), since the land approaching the sea is privately owned, there’s no direct access from the villa. Anyway, with the villa car and driver available at a very reasonable rate, it’s easy enough to catch a ride there if walking seems too much a chore. Young children will need to be closely watched around the two swimming pools, which lack protective barriers. We have had a fantastic stay for 7 nights - 15 of us! The villa exceeded or expectations, the rooms spacious, beds comfortable and the pools amazing. The service is exceptional with all your needs catered for. Food amazing and nothing is too much trouble. I would highly recommend Luwih and we will definitely be back. We had a wonderful stay. The staff was very friendly, always smiling and very efficient. Thank you for looking after us. It was a wonderful and memorable trip to Bali. We an amazing stay at Villa Luwih with four young children, the villa was perfect. We lived in the wonderful pool and enjoyed the amazing sunsets.Our stay was made perfect by the incredible staff who were kind, helpful and welcoming. We were spoilt with lovely food and the beautiful environment. We can't wait to come back. Thanks for having us! Villa was amazing, staff were incredible, best 30th Birthday ever. Staying at Villa Luwih has been perfect for me and all our family - our mum (who is 73), our 3 kids, their partners and our little 4 month old baby. The villa is so luxurious. Wayan and all the staff keep it completely clean and are so helpful. Its been the best holiday we've had together. We will be back. We have had such a wonderful stay in Bali at Villa Luwih. The house and pools are beautiful and in such a peaceful and lovely setting. The children are so sad to leave the pool behind in particular. Many thanks to Wayan and all his team who helped to make our stay so relaxing. The food delicious plus all the other arrangements. This has been a wonderful and memorable trip to Bali, we all hope to be back. Wow what a wonderful experience for our first time to Bali and stay at Villa Luwih. From the moment we arrived until we left we were treated more like family than anything. Awesome place, wonderful staff and incredible level of service. Absolutely stunning villa. The staff were super friendly, could not fault anything. The food was incredible - definitely recommend the Nasi Goreng. Wayan was extremely informative showing his local village and primary school, giving a real taste of Bali. Thank you villa Luwih for making our holiday one to remember. What a wonderful trip. We stayed 8 nights in villa Luwih with 8 adults, worlds best time. The staff were incredible and took amazing care of us. They truly couldn't have been better. We can not wait to come back. Everyone's 40th should be this great. Thank you, thank you for all of your hard work to make it so memorable. What an incredible time we had this week. The villa is absolutely stunning, the staff accommodating and the community so warm and welcoming. Wayan made sure that we were able to see and do everything we desired. We look forward to coming back again to this wonderful place and to telling all our friends about this hidden jewel. What a stunning villa! Thank you for looking after us all so well. We had a wonderful time. It is so very sad to leave. Thank goodness Seminyak calls " not Melbourne" just yet. Thank you Elite Havens. The villa and the staff were awesome, everybody is very helpful to make our stay here in the villa something we will never forget. Thanks to all to the staff members and maybe we will see you in the future. Ten amazing nights in the brilliant Villa Luwih to celebrate a 30th birthday! We had so much fun exploring this peaceful yet interesting part of Canggu and just as much fun making the most of this awesome villa. A huge thank you to Wayan and all the kind staff who made a huge effort to make sure our stay was a memorable one, they were incredible. We all had a fabulous time, relaxing and being wonderfully looked after by Wayan and the lovely staff. We did enjoy Canggu and the surrounding cafes and divine restaurants. A magical stay in an incredible location for a very special 50th Birthday. The most friendliest accommodating staff helped us ensure we had a memorable, relaxing stay we will never forget. We will certainly be back! Great service with good meals, top location and everyone helpful. Wayan and crew - thank you. Thank you so much for a fabulous week. Nothing was too much trouble and you catered so well to our large group. We all had the best time! The locals are so nice. The workers at the villa are so kind and helpful. A short walk to the beach, restaurant and some little shops is so pleasant. We all wished we could have stayed longer! Thank you so much. Thank you for a wonderful stay at Villa Luwih. Our 3 families loved this villa. Special thanks to all staff who made our stay very comfortable. Very big mention and thanks to Mey - your standard of service was exceptional thank you! All staffs were very helpful and smiling. Magnificent villa. Thank you for taking care of us these 4 days. 16 people is hard to manage and we appreciate all efforts. Special mention to Wayan who patiently accommodated to all our request. Thank you for everything! You are all the best people I've ever met. Thank you for a beautiful holiday. It was a wonderful experience with great service - a holiday to remember. Thank you so much for everything you guys have done for us, you have made this trip unforgettable and a special thank you to everyone involved in my special day. Mey you are amazing! Thank you for this wonderful villa! We had an amazing time celebrating Neo and Sarah #neofoundtruelove. The staff were awesome and the food was on point. We spent some amazing days at villa Luwih. From the moment we checked in, every one was so helpful. Nothing you ask for is to much, Putri and Mey are the best. The food was spectacular and so was the service. I will recommend Villa Luwih to all my friends and family. Thank you so very much for making us feel at home we will be back very soon. We love Bali and we love Villa Luwih! Pure heaven, amazing!! We were a group of Australian ladies celebrating Megan's special milestone birthday. Thank you, thank you to all the Luwih staff for taking such fabulous attentive care of us. A very special mention to Putri (you are wonderful, we were all so appreciative of you), also Mae (very lovely, thank you) and Wayan. 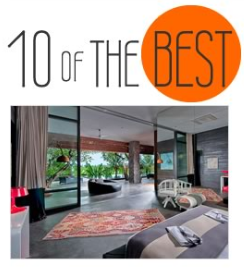 We will highly recommend Luwih Luxury Villa to family and friends. Thank you to all the beautiful staff in the villa for a wonderful stay in Canggu. We had such a lovely time. Beautiful villa with the loveliest staff. Wayan is the man. We will definitely be back...if you'll have us, thank you. Thank you for a wonderful 10 nights stay at Luwih. The staff provided incredible hospitality with special mention to Wayan and May. The food was delicious, service discreet but always helpful. We would love to come back for our next family trip, see you all again. Luwih Villa and staff, it was an absolute delight. We were a group of 15 people and all our needs were always met with a smile. We have all had a lovely stay at the villa and Bali overall. We would definitely come back. Thank you to all the staff that have made our stay truly memorable for the "Festival of Lisa". Thank you! Thank you to all the wonderful staff of Villa Luwih. Our group had a wonderful fun, relaxing and amazing time here. We will definitely be back. Thank you for a wonderful two weeks at Villa Luwih. We had a great time and very much enjoyed the great and attentive service. Thank you. Beautiful sunset, great staff, delicious local food and a gorgeous villa. We all had a great time, look forward to our next visit. Thank you! The staff of Villa Luwih were all very friendly, helpful, attentive and always happy to help. Thank you for everything. We enjoyed this 5 days and 4 nights here. We will miss the staff with smiling faces and very cheerful. Thank you once again. The staff of Villa Luwih were exceptional, very attentive and courteous. Always happy to help even with the most challenging requests. The villa accommodated 9 adults and 4 kids very comfortably. We celebrated my wife's 40th birthday at the villa and it was amazing.The team organized everything for us. We had an amazing week here with lots of wonderful memories to take back home. We thank you so much for the beautiful hospitality we all received. We had a big group here for a special 50th birthday celebration and we all enjoyed it very much. Mey, Putri and Sari were perfect with the kids and made the best coffee, thanks again. Everyone had a wonderful time staying at Villa Luwih. The staff were all very helpful and patient, the meals were very good . We were more than happy, thanks to all. Thank for a great place to have our global family reunion. We have loved our time here. while we thought it might been hard going. We seem to be very light drinkers compared to the last crew!! Special shout out to Made - the girls favorite person who give of extra ice cream. Hope to see you all again one day. We had a wonderful time here at the villa. The staff were amazing and helped with all inquires.The food was amazing and couldn't fault it. Thank you for making our stay pleasant. Record holders for the most cases of beer consumed in the week at the villa!! 23!! Thanks. Perfect weekend away for a group of people. excellent service with the staff attentive and polite. Couldn't have asked for a better time at Villa Luwih. What an amazing stay. A stunning location and villa staff! A beautiful week for a beautiful retreat. Thanks again! We will be back! What a wonderful week! The villa pure luxury and the staff were fantastic and attentive. Great service and lovely food. Nothing was too much of a problem. Highly recommend, we will be back. The staff were great with the kids. The best holiday ever. WOW what a ride! Fair to say we've all come out stronger. It's everything we expected and more. Highlights - Wayan how far? Bikini, KU DE TA, Fins, Sarong, One eyed jack, Dues, Spring Spa and Mrs sippy, Car Riders - #thatfeeling, walks and runs, local wildlife, G&T's by the pool, excellent villa staff, taxi driver - Mr. Happy. We'll be back when we're recovered. With a large group of adults in the villa coming and going at all hours, hiring scooters, mixing mojitos and organising day spa trips - that would not been easy and we want to say thank you for such a good job you did. All the staff speak clear English and were always friendly and helpful throughout our stay. I also want to thank you again for the extra lengths you went to,to help me with organising cakes and surprises - we had three birthdays during our stay - and no request was too big or difficult for your thoughtful team. We loved staying and will recommend the villa and team to our friends. Thank you for a wonderful holiday in Bali. We have loved staying here and you have looked after us extremely well. We will come back to see you again and look forward to our next visit to Bali and Villa Luwih. The amazing staff at Villa luwih, thank you so much making our stay so special and memorable. With eight adults and eight children it was a busy week for you and nothing was too much trouble - our stay was seamless and I could not thank you all enough. You are an amazing team and we just wish our stay was longer - until next times. One last Nasi Goreng today was the best - thank you so much chef. We have a fantastic five nights at Villa luwih. The staff have looked after us really well and the chef cooked some delicious food. We highly recommend this villa to mixed age groups as everyone in our group loved it. What a wonderful place for our girl trip!!! We had an incredible time. The staff were wonderful and very attentive and helpful and lovely people. Thank you so much. Thank you very much for the great service and beautiful Villa. It has been the best fun and enjoyment. All the staff are very friendly and meticulous. We extend a big thank you. Thanks for a fantastic week. What an amazing villa with such kind, friendly and hard working staff. We have had such a beautiful and relaxing time here. All of us enjoyed a well needed rest and we especially loved the jugs of gin and tonic. Thanks again. Recommended to all our friends. We cannot thank you enough for everything you have done for us. Your service and friendly nature has been very appreciated. With four children under three years you had your hands full and we are so grateful. The kids loved you all. We look forward to coming back one day. Thank you again. We had fun. The crew and especially Wayan really take care of us. Villa Luwih very very nicely. We will definitely comes back for more. Thank you so much for your wonderful hospitality. We appreciate everything you have done for us in such and perfect setting. All the best and see you next time. The villa was amazing! Best place to have my 21st birthday. The staff were so lovely and helpful. Best four days ever. Thank you so much, lots of love. Enjoy great time here with friend. Feel like heaven. Ocean, sunshine, sky, star, fresh air. Of course, people and service here fantastic. Time flies. Will keep this memory for ever and ever. Very spacious villa, perfect for large group. Beds where comfy and so was the room. We had a great time in Bali and can't wait to come again. Thanks for a great trip. What a beautiful place!!! We were so spoilt and loved every minute of our stay. All of the staff are wonderful and attended to our every need. There was 15 of us and they looked after of us perfectly. The meals were super and they catered to the fussy eaters of the group. We don't want to leave and hopefully we will be back one day! Thank you for everything you all did for us, we really appreciate it. We've spent five glorious days here at Villa Luwih. None of us are ready to leave!! Wonderful staff at the ready to assist in any way. We've found the villa to be very spacious for our families of nine adults and nine children. Wonderful memories to treasure. Thanks to all the Villa Luwih staff. Highly recommend!! Thank you so much for all the staff at Villa Luwih who made our 40th birthday so memorable. The pool was amazing and we were so relaxed. It was just like home but a lot more luxurious. We will tell every one about this amazing stay in Bali. Thank you. Thank you for great service, were all of you had attended to our every little needed. From opportunity a surprise birthday party. Our families had an exceptionally fantastic time at this villa. We will definitely come back to this villa again. Thank you. Awesome villa even more wonderful. All the staff so friendly plus nothing much trouble. Cocktail makers excellent work. Would very highly recommend and would love to think we will return. Thanks to every one our stay was fantastic, big thanks also for making Alexs 21st special, the cake was a much appreciated touch. It's a wonderful experience to visit the villa! Scene is wonderful, all staffs are nice. Thank you for all villa staff for giving me plenty food for me. Expect to visit villa in the future. From all of us, we would like to warmly thank you for all your hard work to make our stay very enjoyable and memorable. All the staff and service is amazing and we need to specifically mention how much we enjoyed the food and cooking! We will not hesitate to recommend Villa Luwih to other travelers. Thank you again for making our trip amazing. Thank you for wonderful stay. Staff are friendly and very helpful. Pool were great, food delicious and villa always keep very clean. Thank you for giving us a wonderful holiday. Will recommend to all our friends. Terimakasih banyak untuk team Villa Luwih. Service memuaskan dan hebat, makanan luar biasa enak, kami sedih meninggalkan Villa Luwih. Liburan villa paling menyenangkan. Natal sangat menyenangkan juga tahun baru. makan malam yang di siapkan oleh staff sangat indah dan seru. Terimakasih banyak. What a wonderful villa, staff can only be so helpful and happy for any request. We had many friend come for in big party. Amazing facilities. Amazing food. Amazing staff. Best holiday EVER! Thank you for a fantastic stay at your beautiful villa. The staff have all been amazing and can't wait to come back here. We had the best time here at Villa Luwih. We did not want to leave, the service was 100%, the food cooked for us 100%, the pool is amazing! We love it. Perfect beds 100%. Again the staff were GREAT!!! We love Mei, Sari and Agus. We are going to tell everyone! We don't want to go home. Thanks a million. We had a great experience in this villa. We hail from Los Angles, Philadelphia and New York so after one very long day of traveling we found ourselves in the paradise of Villa Luwih. Sitting amazing. The rice fields. 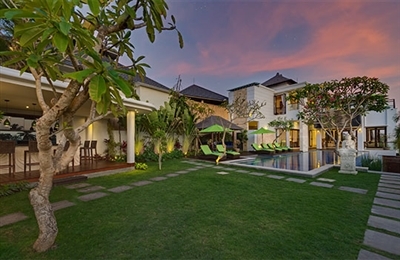 The Villa is a heaven from the hustle and bustle of Seminyak and Canggu town. We loved The staff so much. kind and caring with a sense of humor and attention to detail second to none. Mei and Sari took such good care of us. The Villa is in the perfect spot,easy to take day trips to Ubud, The east coast for snorkeling or just to spend a rest full day at what we considered " Home ". Thank you Villa Luwih. We spent one week here at Villa Luwih with family. what an amazing place. Perfect to catch up with family. The service was great at all times. The food wonderful can't fault in any way. Hope to be back one day. We had an awesome time at Villa Luwih! The staff were very accommodating plus friendly. Great experience! Would love to come back again!.. Our stay is so wonderful. So we recommend this perfect Villa Luwih to our friend. Thank you for super housekeeping. Thank you very much for all staff excellent and perfect service. We had a wonderful stay and are very sad to move on. All our needs were met without complaint. The staff were amazing, especially with our little ones. Security fantastic, compliments to the chef - all the food was most enjoyable. To housekeeping thank you for our spotlessly clean rooms. We hope to return and extend our stay and to be greeted by the same wonderful staff. We thought the villa was amazing. We loved Villa Luwih. We had a wonderful and lovely stay here. The place is beautiful as you can see for yourself. but what made it was the company of friends and the company of the staff. The staff were super. We also found a short cut to the beach. We walked along the beach for 5 km and it is heavenly. Bali is spiritually divine. We had an absolutely amazing time. The staff was so helpful and made our stay even more comfortable. They are also attentive to our needs. We had 2 different BBQs which was executed perfectly. Villa Luwih is a dream to stay in. We had 4 generations staying in the villa and we enjoyed our time. Thanks for your amazing hospitality, very good food and fabulous service. We enjoyed a lot the villa, the view, the pool. We will always remember these amazing holidays. 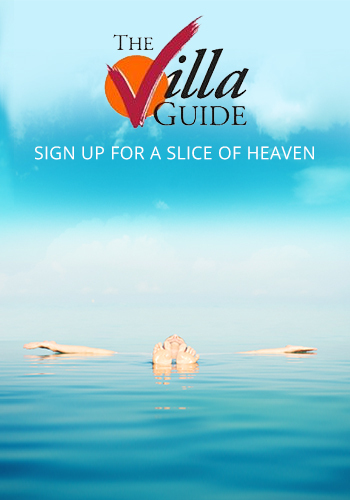 The villa was exquisite and the staff friendly and helpful but never under our feet. Mey is a pleasure and was very friendly and always smiling. Heaven on earth. Thank you to all wonderful staff. This is a amazing place to revive the soul ...... and party. From the moment we walked into Villa Luwih it has been nothing less than AMAZING! The hospitality, attentiveness, service was always done with a genuine smile and pleasure. the food was beyond exceptional!! Anything and everything we requested was excellent. Best chef ever!!! And we can't forget the beautiful pool, definitely made good use and enjoyed every moment with the kids and family. Thank you for an unforgettable family vacation!!! It's been a great experience. The team is very attentive and accommodating. The food is very good quality and the place is well and clean. We had a great stay. Thanks for an wonderful time. Such a fun time at Villa Luwih. Great staff, cold pool is nice and refreshing. Very nice hospitality, good quality of services. Well maintenanced. Friendly and helpful staff. Love Luwih hospitality. Excellent food. Friendly and patient staff. Good stay for us @ Bali. You made this beautiful island one we will remember for a long time. Look forward to see you again. We had a great time, wonderful place, delicious meal, friendly staff, great views, clean rooms :) Hopefully this is not our last visit here. We had a fantastic time at the villa. The views are gorgeous and the staff was superb in every way possible. We loved every second of it and hated to leave. Thank you for everything. An awesome Villa Luwih! Great & warm reception by the villa. Exceptional service by all the butlers ( may, sari, putu and agus ) taking care of our every needs & the children in the group! The BBQ dinner was fabulous with nice effort to decorate the garden. The food was fantastic, catering to both western & local cravings. Definitely would recommend friend to stay at Villa Luwih. A big thank you to staff and team for their excellent service always there with a smile. chef did a wonderful job with yummy food. We enjoyed ..... very much. Thanks for all crews for bringing us a wonderful unforgetable holiday. All of us enjoy a happy time! Wonderful environment! Kindly crew! We all love Villa Luwih, all about everything of it! We will recommend it to our friends. Thank you to all the staff for an amazing week. Every request was met with a very positive and helpful response. Each meal was absolutely delicious and the children were always well catered for. The variety of food is excellent. The staff were always willing to play and interact with the children which makes this villa a great place to bring children and enjoy a family holiday. This is definitely a place we will recommend to others and hope to be back in the future. Thanks for helping us make wonderful memories with our family and friends. Thank you for very nice and hospitality service. All the staff was so friendly and nice also. Definitely will come again and recommend to our friends. Thank you for everything! We had a really enjoyable family holiday. The service and the staff was exemplary. Thank you for showing a slice of local life in Bali with the breakfast and nasi kuning and nasi campur. It was delicious. The surprise birthday party was also well organised. Thank you for the lovely memories. I really relaxed all the way I stayed in Villa. I really need to appreciate staffs who were with smiling faces from start and end of day which help customers to feel comfortable to take service. Also especially cook who cooked us what ever we asked and with spicy as we Indians would like to eat like that. Manager who guided us all the way we stayed and stood beside us to assist us any time we needed. I want to come back again, the villa is luxurious and staff are hired according to that which satisfy customers who stay in villa. The feed back is from all of our 13 members group who stayed in this period. An excellent choice for our 25th year high school reunion! 12 of us made Villa Luwih our home for 3 days and we all had a wonderful experience. The amenities at the villa were great. Bright, very clean, with comfortable beds and sofas. Cooling pools for those hot Bali afternoons and good air conditioning. Modern AV and entertainment and fast WiFi providing support for all our gadgetry (and we had a lot). We had the villa arrange a BBQ dinner for us and they really pulled out all the stops! al fresco dining by the pool with beautiful lights and decorations put up. Great food too. Most of us preferred this meal to the fancy restaurant dinner we had on the next night. Extra special mention must be made to all the staff especially our 3 lovely lady butlers. Never overly intrusive and always smiling and pleasant. Great service. The provision of a car and driver at no extra cost is a huge plus point and makes the secluded location a lot less of a problem. The 4 meals we had at the villa cost less that our fancy restaurant meal. Everything is genuinely charged at cost and all receipts are provided. The massage service that comes to the villa is also very reasonable. Lovely villa, the staff and food were fantastic !!!! Very nice villa with great staff. Made the cook is a genius. Local specialties, Asian or western dishes, just name it and he'll cook it! Our group of 4 families were all very pleased with staying at Villa Luwih for our Bali holiday. The property was beautiful and spacious. Great communal areas and plenty of rooms to retreat to so that we did not feel like we were all over each other. The staff were wonderful and looked after us amazingly. Would highly recommend this villa. Well laid-out villa in great location. Staff were wonderful and the food truly exceptional. View of the sea from the top floor was impressive albeit there is not a direct route to the beach itself. Best part of this villa is undoubtedly the staffs, what a wonderful team! Oh yes, and it comes with a fantastic chef! We recently stayed at Villa Luwhi as a group of 8 adults and 8 children. The staff were so friendly and more than accommodating and professional. This is a beautiful villa with a gorgeous layout. For a compact villa, Luwih offers a lot - three floors, two swimming pools, two living/entertainment rooms and a lot of bedrooms great for big groups or even 2-3 families. There were no nearby establishments or villas which can distract or disturb us from our stay. We saw surfers riding the waves on Pererenan beach which is a short distance away, and the sunset from the beach offered a nice view. The staff (mostly female especially Ayu) were exceptionally nice and assisted us with our needs. Would love to come and stay again! based on 99 user reviews. With a double-pool cascade among its many splendours, Villa LuWih is one of the most welcoming and beautiful villas we’ve escaped to in a long while. Arriving late at night in a slightly dishevelled state, we were quickly restored to a relaxed frame of mind after being met by LuWih’s fresh-faced, smiling team who had prepared our airport transfer service, rooms and snacks exactly as we’d arranged in advance. The sights and sounds of the night also provide a restorative ambiance, with the villa’s top-floor pool trickling into the big pool below, its soothing lighting and the whooshing symphony of the sea beyond.